"South America's ska scene started developing in the mid-1980s. South American ska bands typically play traditional ska rhythms blended with strong influences from Latin music and rock en Español." 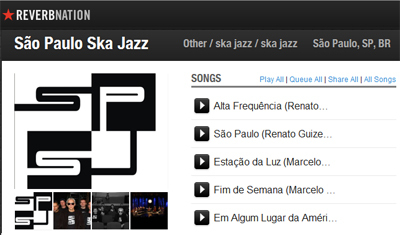 Ska is performed in many diverse venues in Brazil. The music can be heard publicly, performed by tocadores (percussionists) and it is played by traditional music groups. 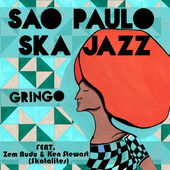 To São Paulo SKA Jazz, Ska presents a musical style they have embraced to entertain the people and to pay respect to Jamaican rhythm. To these rhythms, the band adds the sophistication of jazz to create their own unique sound. The band, Sao Paulo SKA Jazz, is Marcelo Calderazzo (acoustic and electric bass), Renato Guizelini (guitar, mandolin and guitar), Ramon Montagner (drums), Sidney Ferraz (piano and keyboards), Manu Falleiros (baritone sax, tenor and high), Marcelo Pereira (baritone sax, tenor and flute), Gabriel Stampfli (trumpet) and André "Porão" Gomes (trombone). 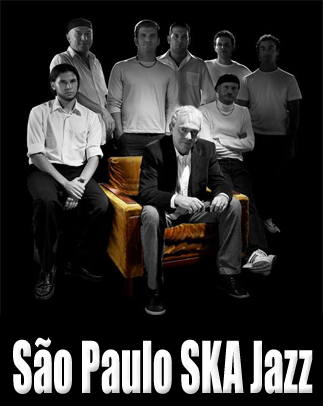 The Sao Paulo SKA Jazz band was founded by musician and composer Marcelo Calderazzo. During his career, Marcelo has performed with Paulinho da Viola, Alcyone, Paula Toller, Nasi and Fernanda Takai. Marcelo says he was moved to ebrace the "gay and festive ska." He gathered musicians of like mind to perform Ska, but also to "rescue elements of other genres like bossa nova, frevo, ballad, soul, jazz, salsa and reggae." 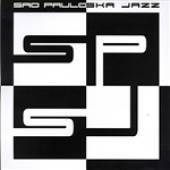 The São Paulo SKA Jazz band, released their first self-titled album in 2009. The album is comprised of 11 original tracks, with one cover, a ska version for "One Note Samba" by Antonio Carlos Jobim and Newton Mendonça.